The concert hall at the Syndey Opera House holds 2,700 people. This blog was viewed about 9,300 times in 2011. If it were a concert at Sydney Opera House, it would take about 3 sold-out performances for that many people to see it. 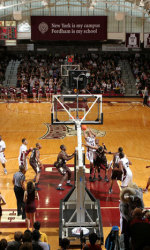 The Sports Cycle’s Donnie Dwyer goes down to the Rose Hill Gym to report on Fordham taking on Georgia Tech. First time in 47 year since an ACC team has come to the Rose Hill Gym and Fordham did not disappoint. Chris Gaston’s 10th double double and Branden Frazier’s 19 points lead them to another victory and improve their record to 6-6. The #23 ranked Harvard Crimson visit the Rose Hill Gym Tuesday January 2nd. Junior forward Chirs Gaston was awarded his first Atlantic 10 player of the week award. Gaston, scored a career-high 35 points, surpassing his previous career best of 32 in the Rams’ win over Texas State. The Union City, N.J. native also pulled down 15 rebounds, notching his NCAA leading ninth double-double of the year and the 45th of his career. 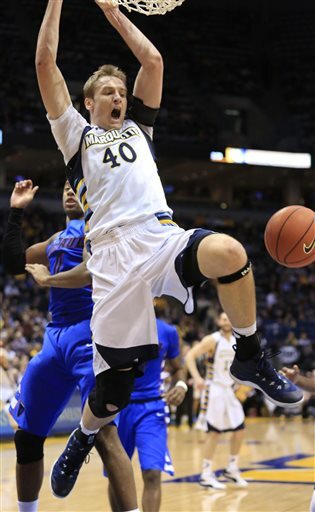 He has netted double figures in scoring and pulled down double-digit rebounds in ten of the eleven games. Gaston was 13-of-17 from the field and 9-of-12 at the line. He also had a block, an assist and a steal. The Fordham Rams have only had a few days off after the loss to St. John’s at Madison Square Garden heading into tonight’s matchup against Texas St. Fans would think this is a good thing for the team to prepare and get ready for their next game right? Not really. It was finals week for the players and grades needed to be satisfactory. So the team had to prepare this week with limited practice time and preparation. That’s why tonight’s game for the Rams is a huge game and a huge test for this young squad. But tonight is a new night in my opinion. Coaches and the players on this team need to stop saying the word “YOUTH” and start saying the word “EXPERIENCE.” The only way this team gets better is if they have more experience on the court against good competition. You don’t lose because you are young and you don’t win because you are young. 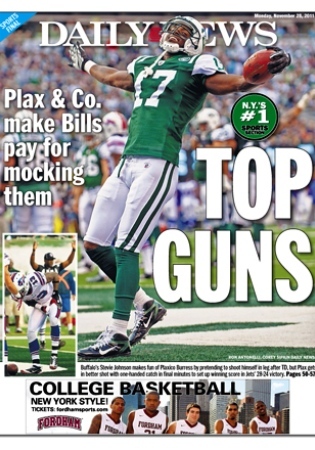 You win because certain players who have experience come up with the huge play when they need one late in the game. The only way the Rams win tonight is if they have the energy from start to finish and if they communicate with each other on both ends of the floor. The team needs to stop worrying about shooting, scoring, rotations, and the rest. They need to worry about playing the game rather than overthinking on the court. Tonight is a fresh start for the Rams to get loose and play relaxed in front of their home crowd. Texas St. is no joke and Fordham cannot take them lightly. But let me get back to the energy. Did you fans see how the Rams played in the last four minutes of the St. John’s game? They played every possession like it was their last and they used the crowd in their favor bringing the lead down to three with a minute remaining. Tonight, that energy they showed in the last four minutes of the game needs to be shown in all 40 minutes at the Rose Hill Gym. If Fordham doesn’t bring that energy and enthusiasm, it could be a long night for the Rams. While energy is important, communication is essential tonight because they need to know what they are doing on defense and offense. College basketball isn’t an isolation league. You can’t win with one player. You need all five guys to step up and play at the highest level. If they communicate with their zone on defense and call out the certain plays to set up their players like Gaston and Frazier, the game will come much easier for the Rams and they will find themselves winning at home. 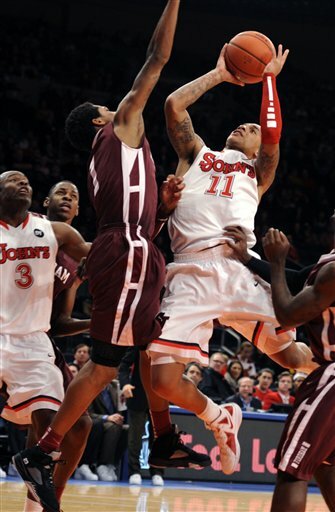 In the end, Fordham needs to realize its strengths and weaknesses. One of them is to not give up the three point shot. Texas St. is 8th in the country in points per a game with 83. Also, they have 5 players shooting over 40% from downtown. The Rams cannot let them get out to an early lead with easy three point shots. The second thing the Rams need to do is make smart decisions with the basketball. With a minute left in the first half during the St. John’s game, the Rams turned the ball over 3 times leading to a 9-0 run which distanced themselves from St. John’s at halftime. The Rams have to realize how much time is on the clock and play to their strengths of getting the ball inside to the bigs and then outside to the guards. The more they utilize their strengths, the more likely they are to win. Let’s hope the Rams get a win tonight to get themselves ready for a big game against Georgia Tech on December 29th. This home stretch is going to be huge for Fordham moving forward. They need to try to split the home stand and get ready for Atlantic 10 play which is a few weeks away. 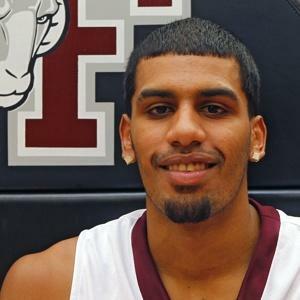 Tags: Fordham, preview, Texas St.
As a Fordham basketball fan for a lot of years there is nothing more you want than winning. You could feel the sense of a turnaround in 2005 when they made the Atlantic 10 tournament a couple of times and almost went to the championship game with Bryant Dunston and company. After the Dunston-Stout-Binns-Greene-Anderson era ended in 2008, Fordham basketball was ready for change. They won three games in 2008-09 and two in 2009-10. Losing became a part of life. 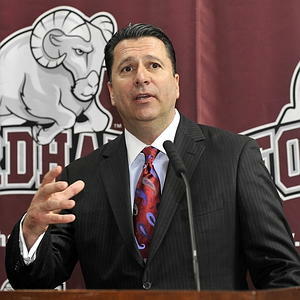 Then in 2010, Tom Pecora was named Head Coach of the Rams and was ready to pull up his sleeves and get to work rebuilding. Well after one season he won seven games and nothing was as magical as beating St. John’s in the Rose Hill Gym. I am not gonna lie, I cried in my dorm room in happiness when that happened. I had never seen anything so wonderful in my life. So as I was saying, the potential is here and the winning is coming. Already into the season the Rams are 3-3 and are learning valuable lessons in every single game. But now comes the question, who is going to watch the games? 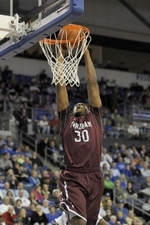 That has been the hardest part for Fordham since I have ever been there. Who wants to watch a basketball game in an atmosphere that is like a high school gymnasium? The answer is you have to advertise and tell people who Fordham Basketball is and what you are ready to do for the campus and the alumni in the Atlantic 10. 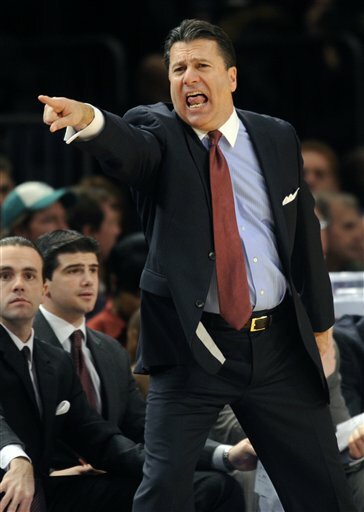 Many of you have seen the New York Daily News post and the radio spot by Mike Breen calling Fordham Basketball “College Basketball – New York Style.” Many have been questioning this move by the athletic department and by Fordham basketball junkies. Why spend money on advertising when we can have a new gymnasium? Well I have to tell you folks, I don’t think there will be a new gym for a long time. The University is focusing on new dorms and buildings to improve living and education. Where could you put an arena in the Bronx? The answer is you just cannot. The Izod experiment last year just didn’t work and the Rams won’t be playing games there this season. That is why Coach Pecora and the players are trying to make this gym special and win with the loudest atmosphere in the country. That message has to be sent out to fans and alumni NOW. From a lot of experience watching and being a part of college basketball I have to say that a packed Rose Hill Gym is much more of an advantage than a packed Bradley Center. The floor in the Rose Hill Gym actually shakes when it is at full capacity and the players can feel the difference. Players used to tell me, it would get their adrenaline up and they would play twice as hard and be very focused during those times. Coach Pecora and the players are now trying to send a message to the fans, “Support us!” You support us in our gym and we will bring the energy and the wins. If you show up to the Rose Hill Gym on a Monday night it can help these kids work harder and get better with that kind of support. Advertising helps the program gain recognition. It’s time to get Fordham back in the national spotlight. Examples would be games on ESPN, players names in news articles and weekly awards, and finally make other schools in the Atlantic 10 talk about how dangerous Fordham’s team is and that they can’t seem to lose at their historic gym. That would be BIG TIME and a huge step in progress. I realize Fordham basketball wasn’t created in one day and know that it takes time and money. So my final words to Fordham fans and people new to Fordham basketball, it’s time to support the players. Make the Rose Hill Gym known to the countyand see if Fordham can own the title of being “The Best” in New York City. There are so many teams that play in the Metro area like Iona, St. John’s, Wagner, LIU, and Hofstra. How nice would it be to be the best? It would make Fordham feel like a topic of discussion, rather than a second thought.